Now that all three reigning and rival heavyweight champions, Anthony Joshua, WBA/IBF/WBO, Deontay Wilder, WBC and Tyson Fury, lineal, have their next fight set, fans have to ask themselves if they are excited, at all. Are you pumped up at the thought of Wilder defending against Dominic Breazeale on May 18th in New York? How about the AJ defence against unbeaten trash-talker, 315 pound Jarrell Miller? Maybe the Fury fight against the also unbeaten but far less known (and far less vocal) Tom Schwarz in Vegas does it for you? To be honest, it’s so far turned out to be quite a depressing year for the heavyweight division. We are seemingly no closer to seeing either Fury or Wilder get it on with Joshua, while Bob Arum has told us all we will have to wait until next year before we get to see Wilder and Fury fight a second time. 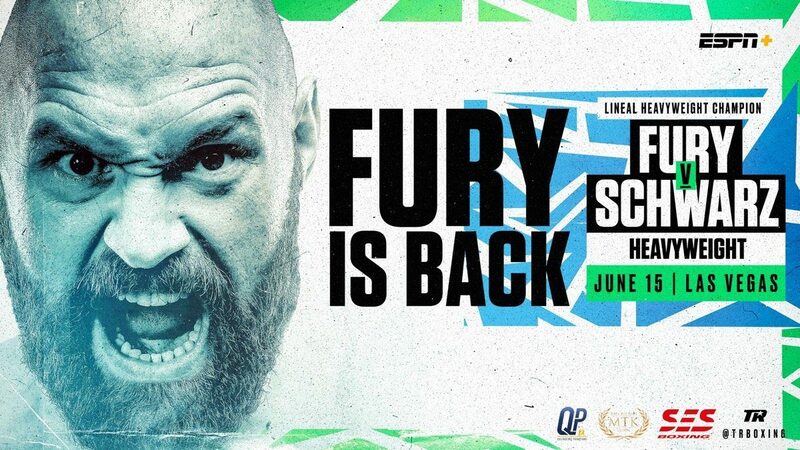 It’s unclear what will happen after the summer, when Fury,Wilder and AJ have taken care of business against their upcoming challengers (as, barring a big, big upset or upsets, they will indeed do); who each man will face in their second fight of 2019 (the big men pretty much only box twice a year these days, as we know). But in the meantime, which of the three champs has the better fight this summer? On paper, Joshua probably has the best fight of the three, in that “Big Baby” Miller is well known, he has that MMA background, he has been very active and, as Eddie Hearn says, if he has a chin he could prove to be a real handful for ANY heavyweight. Breazeale, who is telling everyone he will make Wilder pay for what took place in a hotel lobby in Alabama a couple of years ago, can whack, he has heart and, though he was well beaten by Joshua in a failed title challenge when AJ was 16-0, he did display a solid chin. Schwarz is the least known of the three upcoming title challengers, and as such most fans have moaned most when hearing about the June 15th fight. Has Fury got the easiest fight of the three rulers, is his the worst fight of the three? Very possibly. What we do know is this: all three rival champions are making a mountain of money whilst fighting on separate networks/platforms and as such they should endeavour to give us paying fans the best possible fights. Has any of the three champs done that when going into their next assignment? What price Wilder, Fury and Joshua to each win by commanding KO this summer? You are here: Home / Boxing News / So Which Of The Three Heavyweight Champs Has The Best Upcoming Fight – And Which Has The Worst?